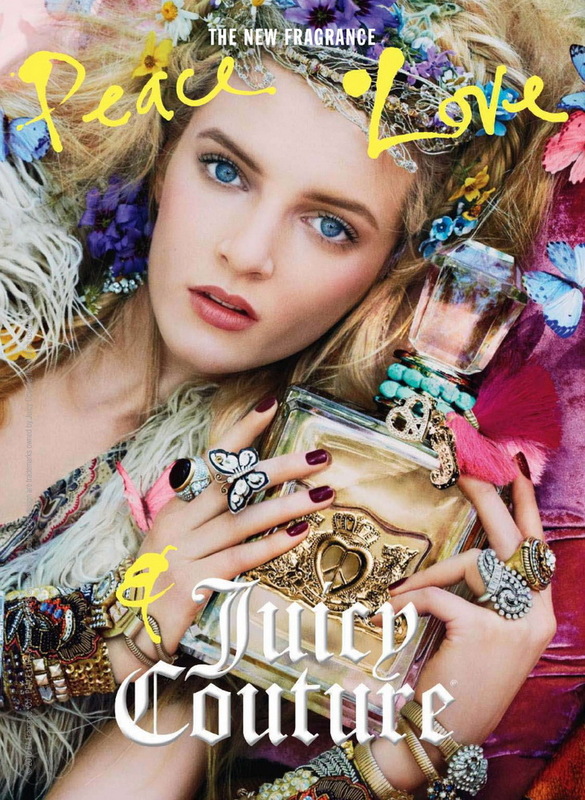 New fragrance by Juicy Couture was designed in hippie style and it takes us back to the 60es and free minded Malibu. Peace Love and Juicy Couture is, we can freely say, hippie phase of the brand, which does not distance itself from style of the brand with the new flacon design and cheerful notes. 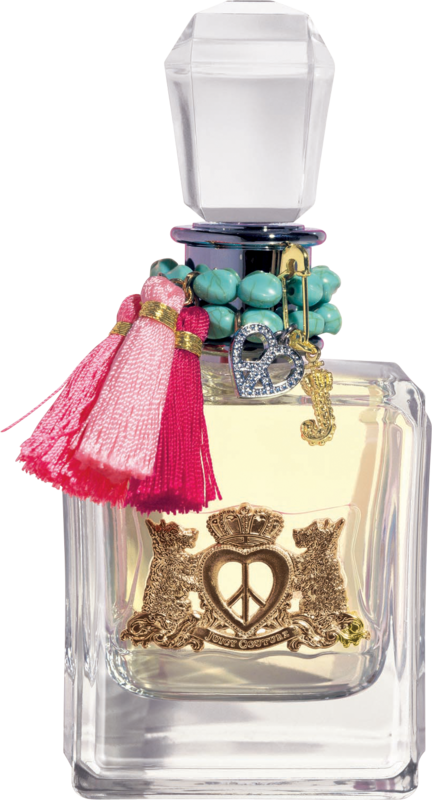 Its composition was created by Givaudan perfumer Rodrigo Flores-Roux of such notes as Meyer lemon, wild hyacinth, sweet apple and black currant buds absolute in a top. A heart blooms with floral kisses of Sambac jasmine absolute, star magnolia, Malibu poppy, honeysuckle and linden blossom, while a base features iris root extract, patchouli blossom and sensual musk which rounds up the composition as a non-chalant embrace.